Grand River Irrigation has been serving the Brantford area for many years and wants to earn your business. Our loyal customers love our personalized treatment; it keeps them coming back each time a new issue arises. Our customers are like our family. Have any questions regarding our pricing? Contact us for a free estimate! E-mail: info@grandriverirrigation.com or call us directly at 519-752-7800. Welcome, and thank you for visiting our interactive website, where we can be reached 7 days a week! Grand River Irrigation has built a reputation for installing, maintaining, and servicing quality lawn irrigation systems for homes and businesses. Our high level of customer service combined with our pricing, is unmatched by any competitor. Grand River Irrigation has been serving the Brantford and surrounding areas for many years. Members of our staff have been involved in the irrigation industry since 1986. 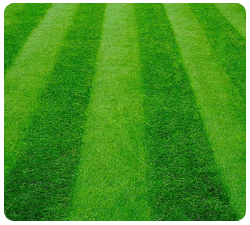 We are Fully Insured, Certified Irrigation Contractor, and WSIB Approved. Our loyal customers love our personalized treatment; it keeps them coming back because they are a part of the Grand River Irrigation family. Please feel free to browse our entire site. You’ll be sure to find what you are looking for. If not, give us a call and we will point you in the right direction. We look forward to doing business with you. We can be reached at 519-752-7800.